Deception and lies. Cover-ups and threats. Letters containing death threats and razor blades. It sounds like the plot from a tense Hollywood thriller. However, this is not something from the big screen. It is the saga currently playing out in Scottish football. It is almost two and a half weeks since Celtic played Dundee United in a Scottish Premier League match. However, the fallout from the game continues to rumble on. The controversial moment came 70 minutes into the game when Dusan Pernis appeared to bring down Gary Hooper and referee, Dougie McDonald, pointed to the penalty spot. However, having consulted with his assistant, Steven Craven, he reversed the decision and awarded a drop-ball instead. On the face of it, there seems to be nothing wrong with this. McDonald felt he had made a mistake, and corrected it. However, it was the events that followed that have led to the controversy. For some reason, the combination of McDonald and Craven conspired to lie to the referee supervisor and Celtic manager, Neil Lennon, over how events transpired. The truth came out later, and the SFA’s handling of the situation has led to claims of a cover-up. For some reason, they felt that claiming Craven called McDonald over to question the awarding of the penalty would add credibility to McDonald changing his mind. However, further questions were raised when McDonald claimed that it was actually Craven who devised the idea to invent the story. Steven Craven has since resigned as an assistant referee over the incident. He claimed that he felt that Hugh Dallas, the SFA referee supremo, and Dougie McDonald were trying to shift the blame for the incident onto him. He explained in his resignation letter that Hugh Dallas twice tried to make him repeat the false version of events, and that he felt he was being made the scapegoat for the whole event. He also accused Dallas of ‘harassment, victimisation and bullying’. Dougie McDonald avoided the axe from the SFA after being found guilty of a cover-up. 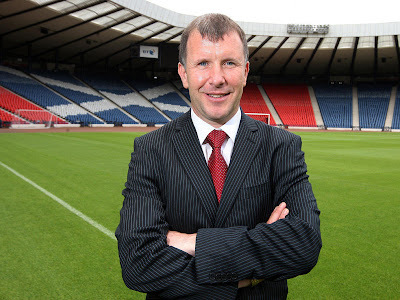 Hampden chief executive, Stewart Regan, claimed he was only trying to protect his assistant, Steven Craven. He was given a warning for misleading the refereeing supervisor – he told the supervisor that Craven intervened in his decision to award the penalty, when actually Craven was going along with the decision and McDonald changed his mind. There is a growing campaign for an independent review into the running of the SFA itself, particularly focussed on greater transparency, especially with regards to the refereeing side of things. Celtic are expected to announce their support for the campaign at a meeting of SFA clubs today, whilst Hearts have already lent their voice to the movement. Everybody realises that referees and assistants are human, and that humans make mistakes. Whilst clubs, managers and fans want the best referees, they do the best they can on the pitch, and do make honest mistakes. However, this whole incident has raised a far more serious issue – that of honesty and integrity. If we cannot rely on referees and the Scottish FA to uphold these fundamental parts of life, how can we allow them to control matches? Dougie McDonald has described the whole thing as a ‘storm in a tea-cup’. However, he is severely underestimating the impact that it is having on Scottish football. Indeed, it may have marked the first signs of what is rapidly becoming a perfect storm, which could rock the SFA and Scottish football to its foundations.